Ginny brings us this brilliant miniature trash can made from an aspirin bottle using Mod Podge. No more errant scraps in the bottom of your bag! I'm so pleased to have Ginny from Organizing Homelife here today with her mini DIY purse trash can. As we speak, I have candy and gum wrappers sitting at the bottom of my seatbelt bag with nowhere to go. This fun little idea wrangles up all that garbage and makes it easy to dump out when you do find a larger can. 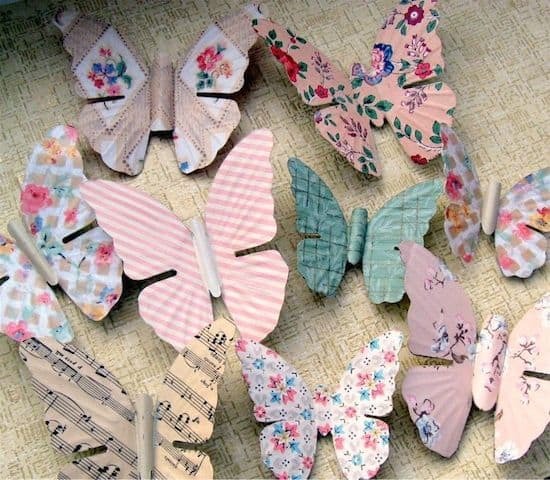 Plus – it's free if you have Mod Podge and a napkin on hand. I will let Ginny tell you all about it. 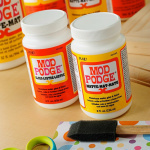 Hello fans of Mod Podge Rocks! I'm Ginny from Organizing Homelife. I was so thrilled when Amy invited me to guest post on her awesome blog! 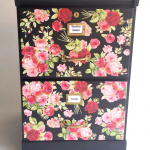 She's all about creative ideas and I'm so excited to share my purse trash can idea with you. 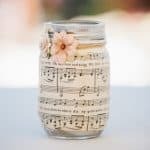 It's simple to make and a great way to re-purpose an old medicine bottle. I don’t know about you, but keeping my purse neat and organized is a challenge. Receipts, gum wrappers, tissues, notes, etc. can take over and wreak havoc in a very short period of time. Obviously, when I’m near a trash can I’ll use it, but there are many times when I have a piece of trash and nowhere to put it. So what can I do except to toss it in my bag? Ugh. I hate all those little scraps and mess all over the bottom of my purse. At one point I even added ‘clean out purse’ to my weekly cleaning list in my home management binder. Good idea? You bet. Do I always do it? Uh, not really. One day it dawned on me – I need a “trash can” for my purse! So, I set to the task of figuring something out. Here is what I came up with – my very own do-it-yourself purse trash can. Here is how I did it! Start with a pretty napkin, Mod Podge Gloss, and a plastic container. I used a wide mouthed ibuprofen bottle for my miniature trash can. You want the mouth to be wide enough so that it’s easy to dump out the trash. This bottle has worked great for me – even tissues come out of it. Cover your work surface with newspaper. Measure the bottle area that you want to cover. I wrapped the napkin around it to set the design how I wanted it. Cut down the napkin to size. I used both layers of the napkin at the same time. Cover the bottle with Mod Podge using a foam brush. Wrap the napkin around and secure the end with more Mod Podge. VERY CAREFULLY cover the napkin with Mod Podge and allow to dry. The napkin I used was fairly thin, so after it dried, I cut another layer of napkin, matched the design and Mod Podged it over the first layer. You could probably put a plain piece of paper on for your first layer if you don’t have enough napkin. Otherwise, you may be able to see the bottle writing through the napkin. Amy's note: another option is to paint the label with white acrylic paint, if you happen to have some on hand! Allow it to dry for 20-30 minutes. I set it upright and moved it a few times so it didn’t stick to the newspaper. Follow the same process to cover the lid. The design on my napkin just happened to fit the size of the lid perfectly! I didn’t plan that, but was really happy with the result. And here is the finished miniature trash can! Light, easy to empty, and effective in keeping my bag clean and organized. i’d never thought about using a big pill bottle for a purse trash can. Awesome idea! I can’t wait to make one of my own! Thank you for the inspiration! Perfect for a purse…I may use my empty Mod Podge bottle to make one, I tend to have quite a bit of purse trash. Brilliant!! I’m so doing this! Co-o-o-l-roni! What a clever idea! It seems there are always little bits you need to throw away & this is perfect. That is actually an incredible idea! Off to make one of those now! Wonderful idea !!!! 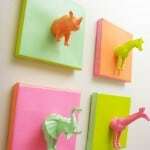 Can’t wait to make one!!! So…is this a PAPER napkin or a CLOTH napkin? Knowing that would help a lot. Thanks. Hi Anonymous! It’s paper but you could use either – just make sure the cloth napkin isn’t too thick. I’d suggest that when waiting for the Mod Podge to dry on the bottle, just turn it upside down — then you don’t have to worry about it sticking to the newspaper. This looks like a great little ‘Mothers day’s gift. My mom and sisters will love this. I just loved this idea after coming across it .. Thank you so very much for the tutorial. Have just finished making one for my youngest daughter, she loved it .. have added pin it pic. on my pinterest ‘My creations.